343 continues attempting to win over fans angry about lack of split screen. It appears that 343 Industries is working overtime in order to win back fans of the Halo series that might be thinking about leaving Halo 5: Guardians in the discard pile thanks to the removal of split screen in multiplayer modes. Another move that might further push those fans away from the series is a current lack of physical copies of the Limited Collector’s Edition of the game. One particular fan took to Twitter to ask Josh Holmes directly if there were any plans to launch a physical copy alongside the digital download. Of course, it’s entirely possible that once the team has “actively worked” on the situation for a while, they might report back that they’ve come up empty. 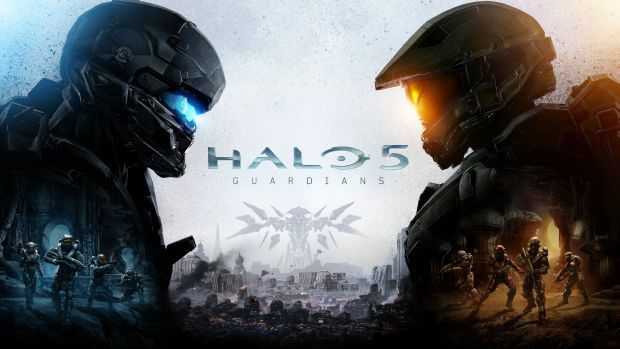 On the flip side, that wouldn’t be a good move if they are really concerned, as we think they are, that there is a large and vocal group of Halo fans quite upset about what’s going on with Halo 5: Guardians. As for what is coming with the game, we already got a look of sorts at the San Diego Comic Con of the biggest multiplayer map that has ever existed in Halo, namely the Raid on Apex 7. The map was shown off using Megabloks at the event but now there is a trailer floating around the web that gives a kind of official tour of that model. It won’t be long now before we’ll get to see what 343 has to offer in Halo 5: Guardians as it will launch for the Xbox One on October 27.